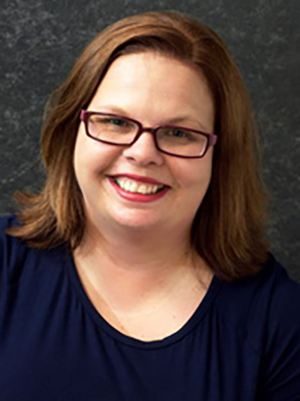 Dr. Ann Philbrick is an associate professor at the College of Pharmacy and the Department of Family Medicine and Community Health at the University of Minnesota. She is on the faculty of St. Joseph’s Family Medicine Residency Program and maintains her pharmacy practice at Bethesda Family Medicine Clinic. She is a 2006 graduate of the University of Nebraska Medical Center and completed a combined PGY1 and PGY2 Ambulatory Care Residency at the University of Iowa Hospitals and Clinics in 2008. Philbrick AM. Immigrant health care in the context of an incredibly complicated health care system. Am J Pub Health. 2018;108(7):843-4. Frail CK, Chapman SA, Jolowsky C, Moon JY, Philbrick AM. Supporting quality in experiential education through enhanced faculty engagement. Curr Pharm Teach Learn. 2017;9:962-5. Ricco J, Danner C, Pereira C, Philbrick AM. “The times they are a-changin’” knowledges and perceptions regarding medical cannabis in an academic family medicine department. PRiMER. 2017; 1:20. Philbrick AM, Wicks CM, Harris IM, Shaft GM, Van Vooren JS. Make Refugee Healthcare Great [Again]. Am J Pub Health. 2017; 107(5): 656-8. Harris IM, Reidt S, Lounsbery LM, Moon J, Periera C, Philbrick AM, Westberg SM, Rojanasarot S. Assessment of core knowledge during ambulatory care advanced pharmacy practice experiences using online modules and pre- and post-testing. Curr Pharm Teach Learn. 2016:8:213-19. Philbrick AM. Identifying Students’ Perceptions of Community Within, and Need for an Online Veterinary Pharmacotherapy Elective. Curr Pharm Teach Learn. 2016:8:178-83. Philbrick AM, Harris IM, Schommer JC, Fallert CJ. Medication discrepancies associated with subsequent pharmacist-performed medication reconciliations in an ambulatory clinic. J Am Pharm Assoc (2003). 2015 Jan-Feb;55(1):77-80. doi: 10.1331/JAPhA.2015.13160. Harris IM, Philbrick AM, Fallert CJ, Soliman AM. Pharmacist-managed protocol to implement simvastatin labeling changes in a family medicine clinic. Am J Health Syst Pharm. 2014 Aug 1;71(15):1248-51. doi: 10.2146/ajhp130459. Milone AS, Philbrick AM, Harris IM, Fallert CJ. Medication reconciliation by clinical pharmacists in an outpatient family medicine clinic. J Am Pharm Assoc (2003). 2014 Mar-Apr;54(2):181-7. doi: 10.1331/JAPhA.2014.12230. Nelson EM, Philbrick AM. Avoiding serotonin syndrome: the nature of the interaction between tramadol and selective serotonin reuptake inhibitors. Ann Pharmacother. 2012 Dec;46(12):1712-6. doi: 10.1345/aph.1Q748. Epub 2012 Dec 4. Philbrick AM, Ernst ME, McDanel DL, Ross MB, Moores KG. Metformin use in renal dysfunction: is a serum creatinine threshold appropriate? Am J Health Syst Pharm. 2009 Nov 15;66(22):2017-23. doi: 10.2146/ajhp080330.